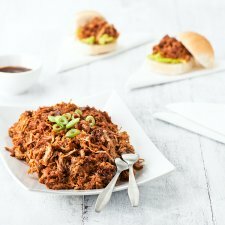 Pulled, cooked and formed pork with barbecue sauce. We’ve marinated selected cuts of pork in our BBQ seasoning. Before cooking slowly to ensure the perfect texture and succulence. We have then pulled this product for you, so all you need to do is heat and add our BBQ sauce. This product is perfect for sharing with friends and family, simply add buns and coleslaw. Or why not try adding to burgers at a BBQ for a taste of the American south. Pulled Pork (80%), Barbecue Sauce (20%). 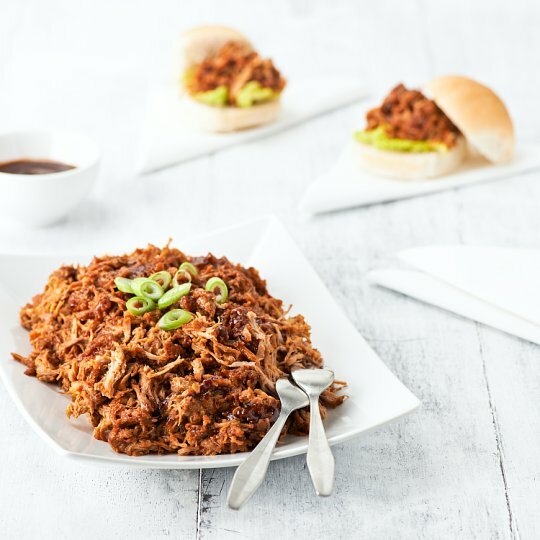 Pulled Pork contains: Pork (95%), Demerara Sugar, Cornflour, Smoked Paprika, Tomato Powder, Molasses, Colour (Caramel), Salt, Yeast Extract, Chilli, Paprika Extract, Onion Extract, Garlic Extract, Black Pepper. Instructions: Remove sachet of sauce and put to one side. 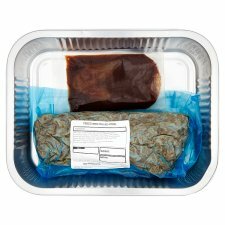 Remove pulled meat from packaging and place into the foil tray. Cover with foil. Place on a baking tray in the centre of a pre-heated oven for 25-30 minutes. Remove from oven, pour sachet of sauce over pulled meat and mix well. Re-cover with foil and return to the oven for a further 5-10 minutes. Pulled, cooked and formed Pork.